This Certificate program is designed for students who already have earned an Associate or Bachelor's degree from an accredited college or university. 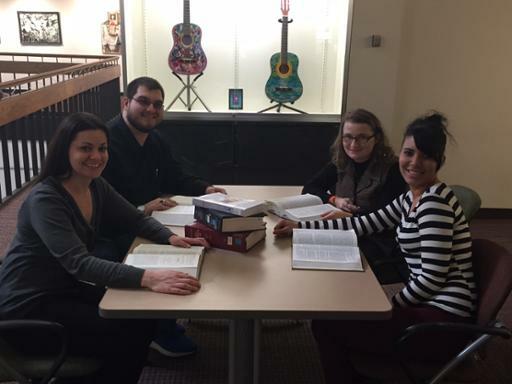 The Paralegal Studies program at Cuyahoga Community College (Tri-C) educates students to serve as paralegal professionals and work independently in the legal field under the supervision of attorneys. Students receive a general legal education with coursework in civil procedure, basic legal research and writing, computer assisted legal research, and various paralegal specialty areas. Graduates are prepared for careers in business, industry or in non-profit corporations that interface with the legal system. Typical employers include law firms, insurance companies, local, state and federal government, title companies, banks and corporations. Paralegals organize and manage work flow in law office settings, draft legal documents, research and draft legal memoranda, and prepare attorney billings. They conduct background checks, interview clients and pursue factual investigations for employers. Paralegals may prepare witnesses for depositions and for trial. They organize client files and generally maintain client relationships. Paralegals may serve as employer liaisons to business, the police, other attorneys, government officials and the courts. Paralegals cannot accept a case, set fees, give legal advice, or represent a client in court. Paralegals may not provide legal services directly to the public, except as permitted by law. This is an American Bar Association (ABA) approved program. Please note: Students must apply and be accepted to the Paralegal Studies Certificate Program. Being accepted to the College is not acceptance to this Program. Please contact the Paralegal Office at 216-987-5113 for more details.